Small kids get easily get bored after they play with something for a long time. So they continuously keep on changing their activities love doing lot of experiments with anything that they can get their hands into. Why not we allow them to do something different? 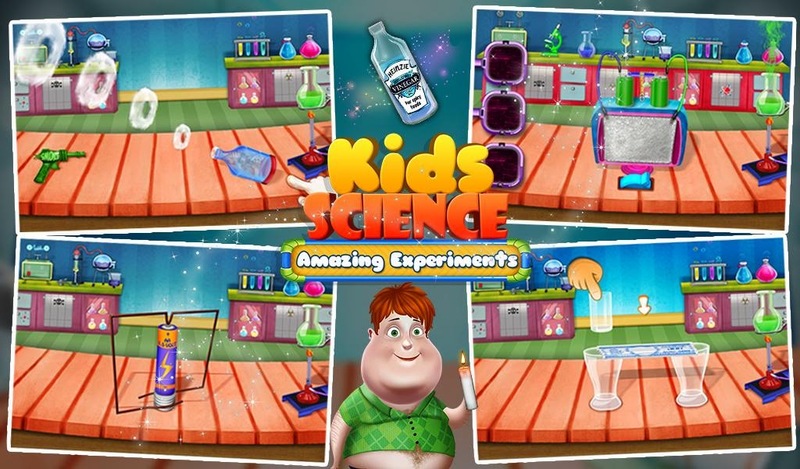 We can let them play with some amazing Science Games which can help them a lot in understanding the science of the different objects that they see in their day to day life. Children now won’t have to wait to wait to study these science experiments from text books at school because they can perform it right now. 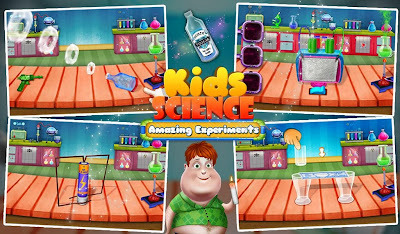 Let’s us have a look at some amazing educational science experiment games for kids which they can easily perform at home or even for some science school projects. • Various experiments with lot of different objects. 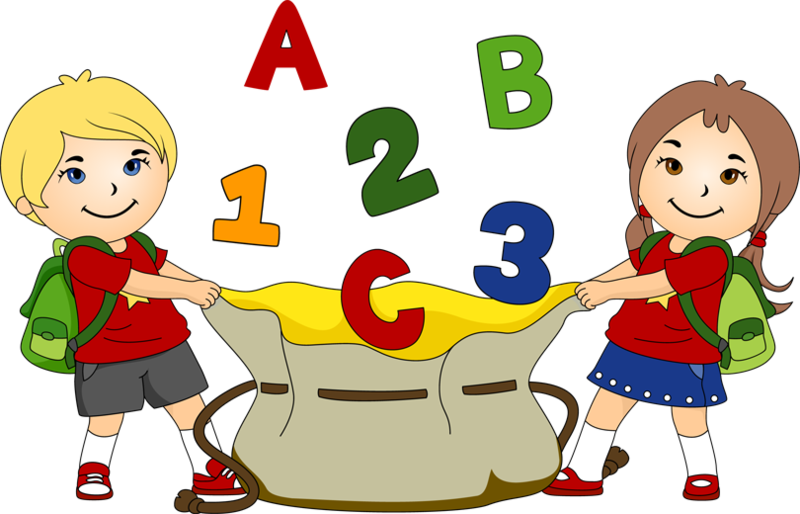 • Very easy for kids to understand and also easy to perform it anywhere. • Experiments are done with easily affordable materials. 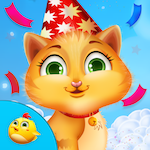 • Friendly animations make it easy for kids to understand, interesting and fun to perform. • Conclusions at the end will help to understand the experiments. • A number of amazing experiments using ice. o Using dry ice as a smoke ring launcher. o Ice cube melting test on fresh water and ice water. o Demonstrating melting point of ice. o Many other educational experiments. • This game contains all the activities and experiments that is studied and performed in school. • Simple and easy to manage apparatus. • Conclusions with voice combination will make it easy for the kids to understand. • Share all the experiments with friends and have fun with science. We all love playing and swimming in water, but there are various other hidden scientific facts about the water that most of us were unaware until now. Did you know the technique to make the water glow in dark? Or to make a water bottle explode with just few ice cubes and some sun light? Or have you ever imagined what would happen if you mix a jar full of water and a jar full of oil? Well even though these science experiments look pretty tough and hard to imagine it is actually so simple that you can perform it right at home itself with the simple materials you find at home. Gameiva brings a complete set of a huge variety of different science experiments with water that you can perform anywhere, whether right at home or even at school with very simple apparatus. 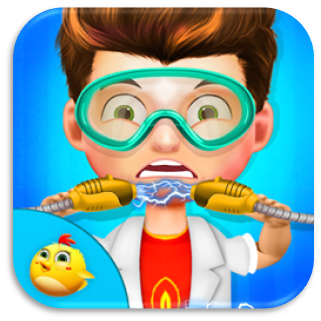 Let’s have a look at all the amazing water science experiment games by Gameiva. • Features a number of different experiments with water. 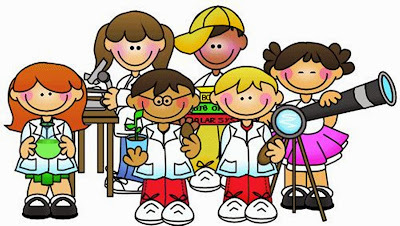 • Kids can perform the experiments with very good voice guidance. • Lot of different apparatus used for experiments which you can easily manage for yourself. • Learn the motive of the experiments from the conclusions. • Share your science experiments and information with friends and have fun. • This is an improved version of the science experiment with water. 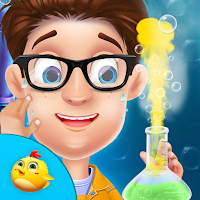 • With lot of new experiments on water we bring you new fundamentals and knowledge on science. • Easy to understand and harmless to perform them. • Conclusions will help improve the knowledge of the science of water. • Perform the experiments and improve your science. 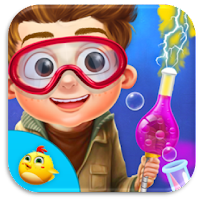 • Perform lot of different latest, amazing and exciting science experiments with water. • Learn the basic water science art home or at school. Gameiva has never stopped in bringing new science experiment games with lot of different household materials that kids will always enjoy to perform with. 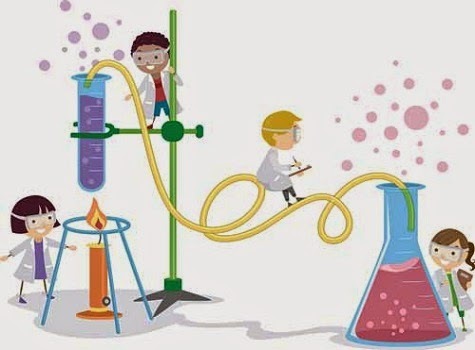 There are tons of science experiments for kids which are made easy to understand by amazing animations and also theoretical explanations which will help them to understand them with a better conclusion and knowledge. 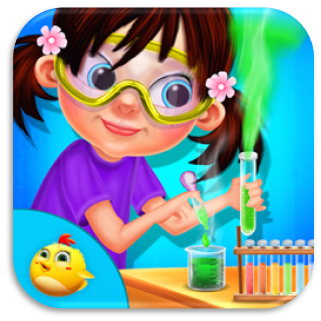 All these apps will be very beneficial for all kids allowing them to learn a lot of new scientific concepts with lot of fun. Feel free to mail or contact the team behind the game anytime at info@gameiva.com. 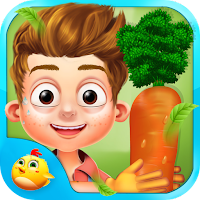 And get more of amazing games at our playstore. The "Preschool IQ Test for Kids" is a brain boosting puzzle game for all kids fully packed with lot of creative brainteaser questions and answers which will help the children improve their imagination and thinking skills. Each question is a unique puzzle for which you will have to use your extraordinary and creative thinking skills. The solutions to those questions will be simple but yet it will never be obvious. Practicing and Solving all the questions every time will soon make it easy and quick for you to face any similar type of questions anytime. Earn maximum stars by solving all the questions in minimum time possible. 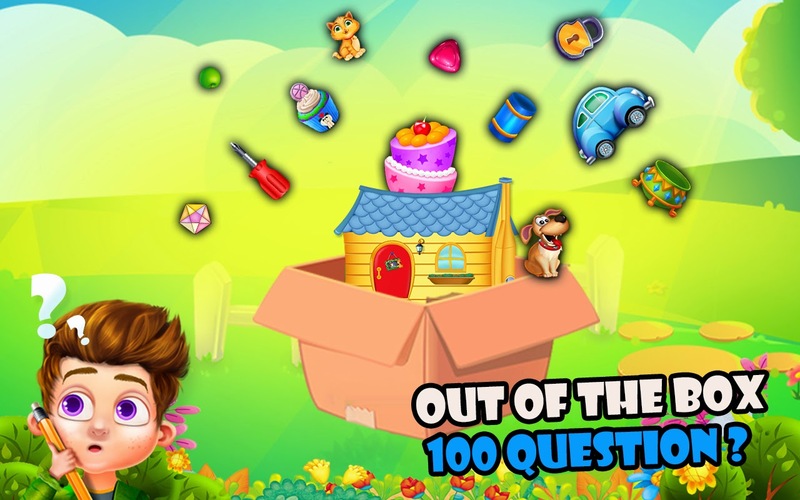 So let’s get started with this amazing brain boosting game for kids. Download this amazing "Preschool IQ Test For Kids" game from play store and Get more educational and free fun android games for kids at Gameiva. Feel free to mail or contact the team behind the game anytime at info@gameiva.com. 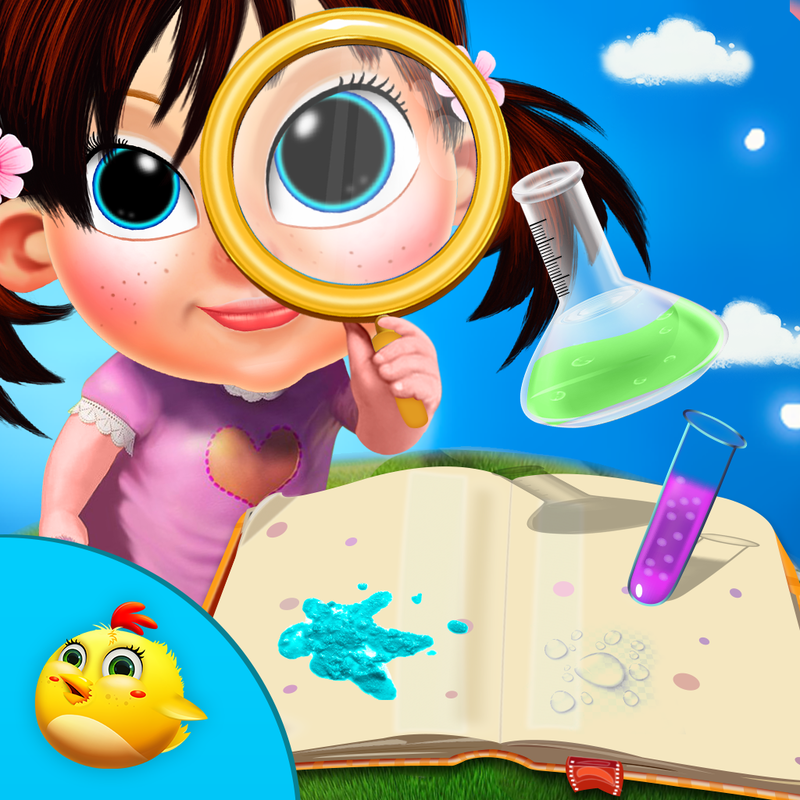 Gameiva has never stopped from bringing new amazing scientific and educational games for kids. 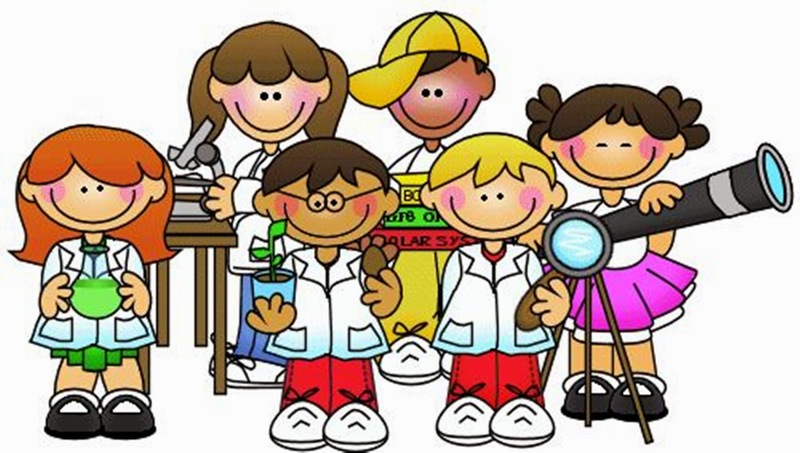 And this time "Baby Emily Science Fair" is here with some amazing some cool science experiments and facts for all the kids to help them learn science in a very friendly and easy method. 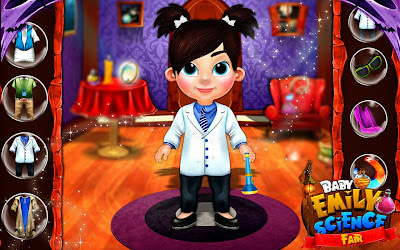 These activities performed by baby Emily includes various science experiments like giving a simple demonstration if air pressure, Bernoulli's principle, rainbow effect, magnetic effects and many more educational games. 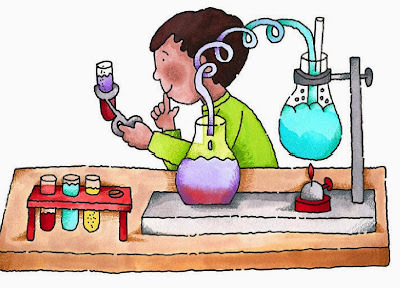 These experiments are very easy to perform for kids as they are harmless and also very easy to understand and learn the science of each experiment. The apparatus and the materials used in the experiments are very easy to manage by yourself at home itself. Lot of different amazing science experiments. Other fun games like finding hidden scientific equipment’s. 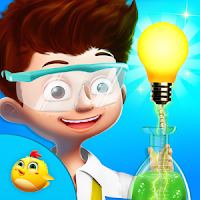 Amazing animations and images which will help the kids make science experiments interesting for them. Guidance at each step will be given for a better understanding. All the experiments will be ended with conclusion for a better understanding of the experiment. Share the experiments with friends and have fun with the experiments. Download this amazing "Baby Emily Science Fair" game from play store and Get more educational and free fun android games for kids at Gameiva. Have you ever tried to make an electric car out of simple material at home or. Sounds very hard but it is pretty simple and you can do it without any extra expense on purchasing apparatus for it because you will find all the required parts at home itself easily. 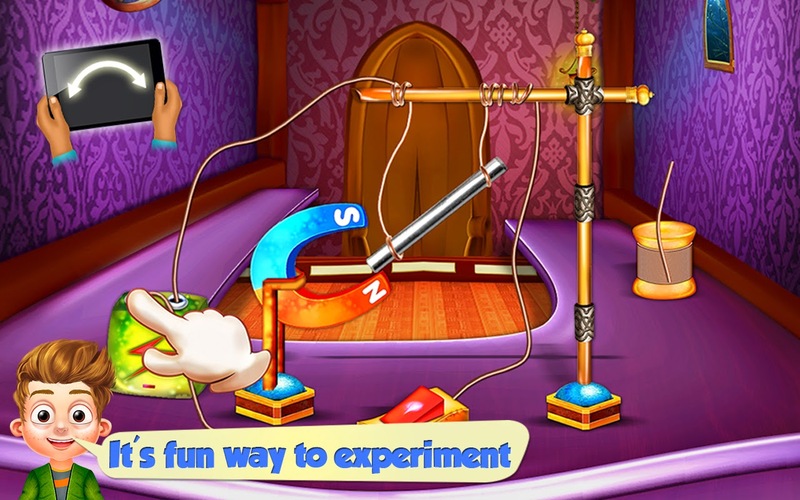 You can make a plenty of different amazing mechanisms with the help of simple apparatus and to help you in that Gameiva presents you with "Science For Kids" which brings along with it a perfect and awesome collection of innovative scientific creations for kids. In this experimental and educational game which is especially for kids will help them in a creative learning and also to know the science of different simple things. The kids can increase their depth of scientific knowledge in an easy way with this science game which is easy to play and understand. Lots of different and unique experiments. 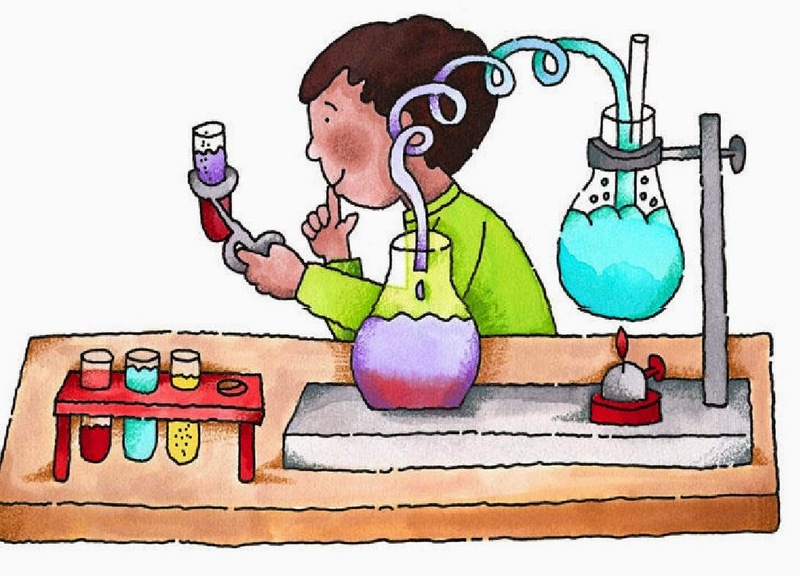 The experiments are easy to perform, understand and friendly for kids. The animated cartoons and images will keep the interest of the children. You will be guided on each step of the experiments. 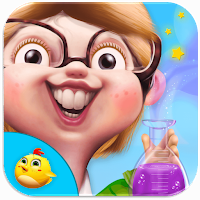 Download this amazing "Science Game For Kids" from play store and Get more educational and free fun android games for kids at Gameiva. Mommy is very happy to welcome her new born child at home. But there is to many preparation need to do like clean the room, decorate baby’s room, clean all the clothes, mom’s dress up and more. 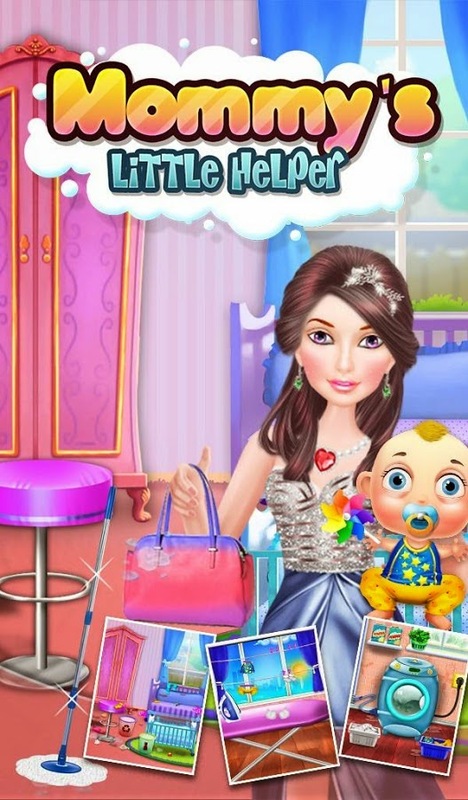 Here is the fun game for kids where they have to become a Mommy's little helper and help mommy to accomplish different activities. Kids will learn from this game that how to take care of mommy when she is going to give birth to their siblings. Different activities included inside this game you have to finish is very accurately. 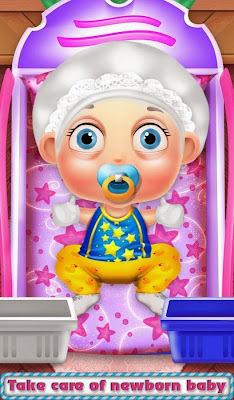 Take care of new born baby like give bath, feeding and play with baby. 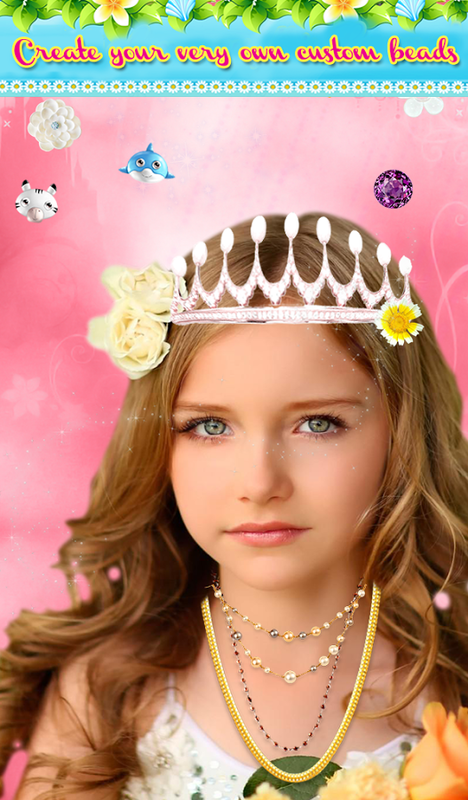 Select dress for mommy & select matching accessories from given collection. Download this game & enjoy with mommy and new born baby. We would appreciate if you could give your suggestion or feedback about this game. You can send message at wecare@gameiva.com or in comment section below. Every girls look beautiful with perfect makeup, dress up and by wearing jewelry & other accessories. Sometimes she doesn’t know which style, makeup & accessories will be perfect for them. Here is the simple solution for that. 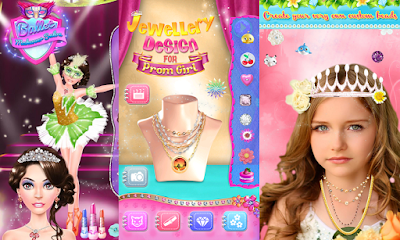 There is a fantastic game for girls by Gameiva which helps to choose different jewelry & makeup as per your occasion, see which looks better. Jewelry has always been known to be woman's best friend, she loves to wear different designer jewelry for every occasion. And here in this game you can design your own bracelets, necklaces and more jewelry materials. 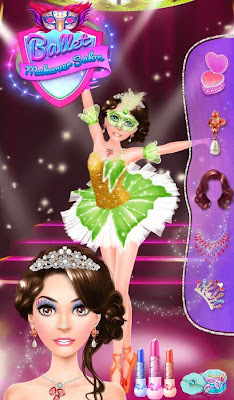 Be a beautiful prom girl in party. Decorate your jewelry with initials of your loved ones. Dress the dancers up like swan beauties on stage. 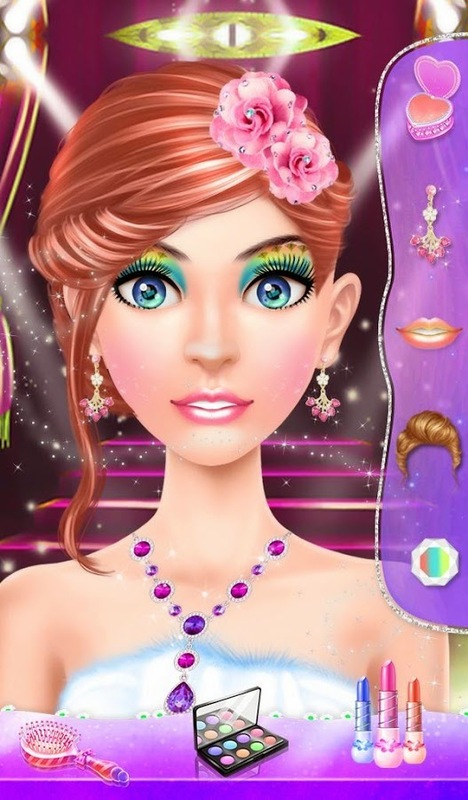 Select new hairstyles, makeup, costumes and more. 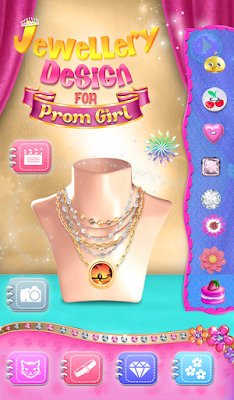 So what are you waiting for download these free girls games and show your fashion sense to the world. You can feel free to give your opinion and feedback about these games at wecare@gameiva.com or in the comment section below. Get more fun and interesting games by Gameiva from here. Mostly kids love their pets very much, have you ever celebrated your pet’s birthday? If no then do it now. It’s your duty to plan, decorate to celebrate their birthday party. Now let's take the charge of planning for a special surprise party for your little pet. Blow up colorful balloons to decorate the party. 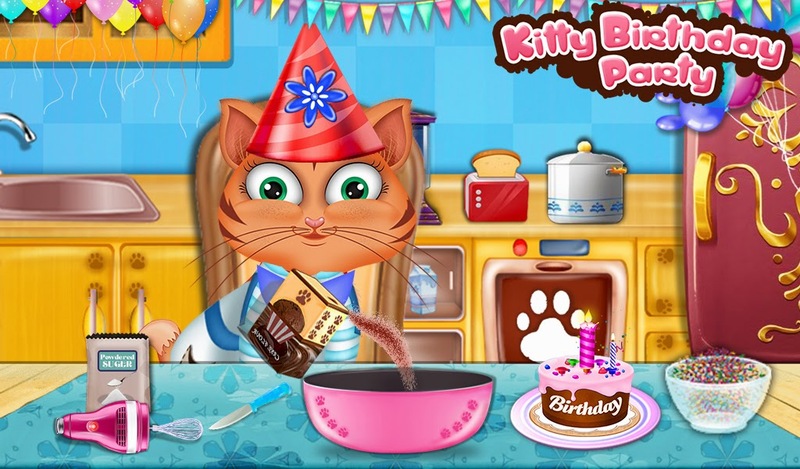 Bake a delicious birthday cake, decorate a room, take care of your pet, dress it and organize a celebration. This is the coolest way for kids to learn & plan a birthday party. 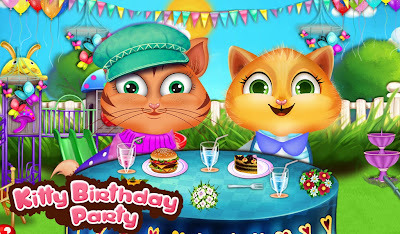 Gameiva brought a game Kitty Birthday Party where you have to organize a little cute kitties birth day party. Kids will learn how to organize their pet’s birthday celebration after playing this game. Dress the kitty from bunch of awesome birthday hats, tiaras, halos and more! Open cool presents and make your birthday extra special. 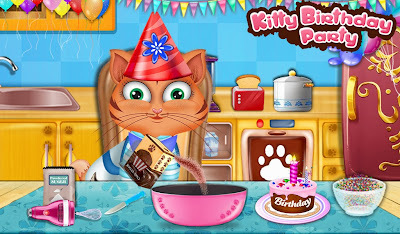 Enjoy with kitty on her birthday. So what are you thinking about this game? Feel free to give your suggestion/feedback to wecare@gameiva.com we would appreciate for that. Math is very boring subject for kids and it’s become headache for almost every parent to teach math to their children. 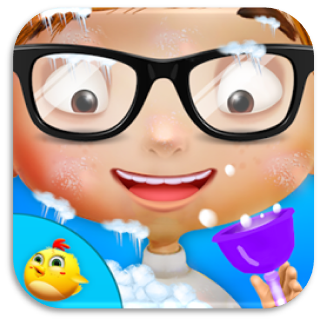 Gameiva brought a fun math learning game for kids with the help of that game kids will learn math with interest & fun. 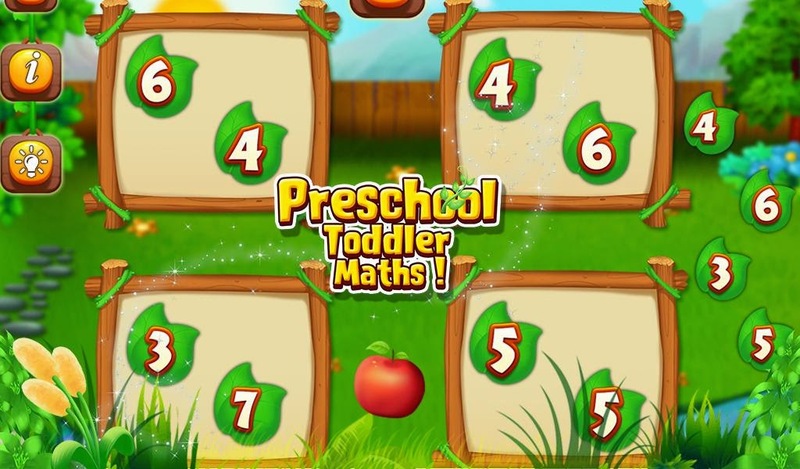 Preschool Toddler Maths is perfect educational Games for kids to learn basics of Math. After playing this cool math game, your kids definitely will calculate faster. 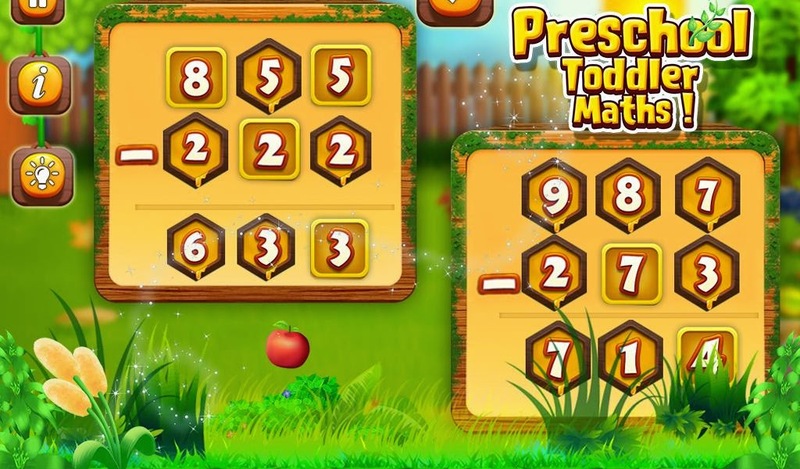 This game provides complete maths training all questions are generated dynamically, so we will have new questions each for each operation like addition and subtraction. 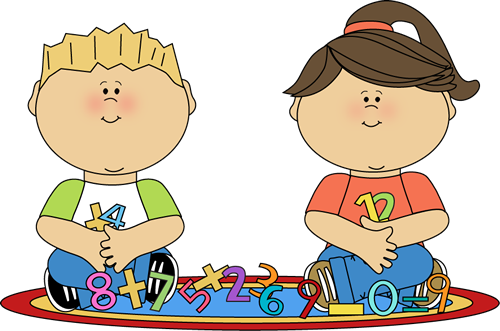 Preschool toddler Maths kids games will definitely help your kid to make more progress in school math & learn basic math fundamentals. You can send your suggestion and feedback about this game at wecare@gameiva.com or in the comment section below with your email id so will get back to you easily. 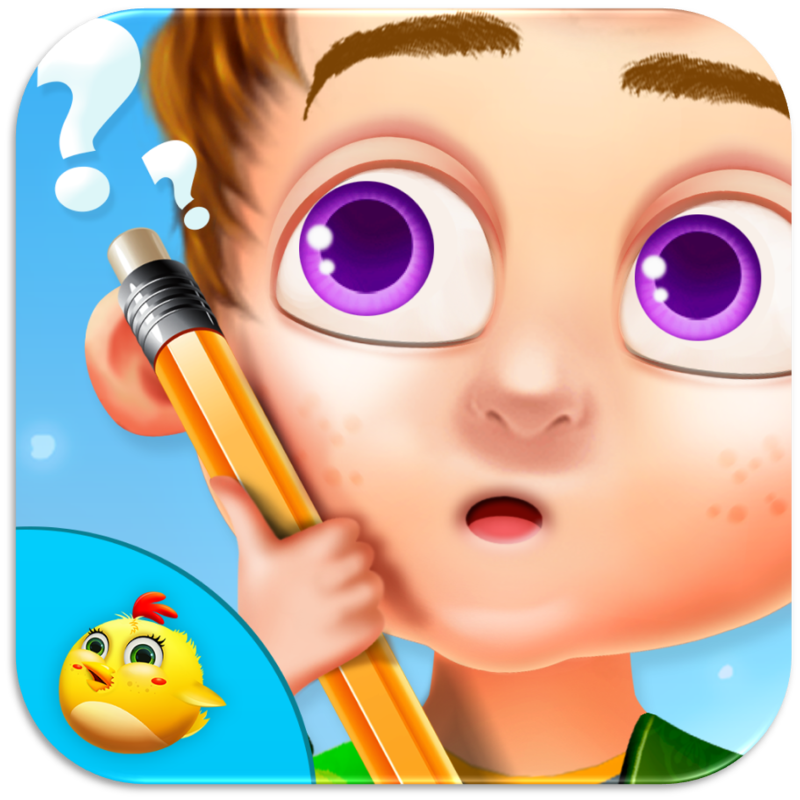 Download more educational games from here. At the age of 2 and 5 kid’s interest and nature is being developed. It's time to developing some skills in children, which useful in school. We have a best preschool learning game with the help of that games kids will learn different activities with fun & interest. Gameiva brings an amazing educational game for children where they can learn alphabets and words and will help them recognize letters as they appear. It doesn't matter whether your kid is in kindergarten or attending a preschool this is a great app for all kids. 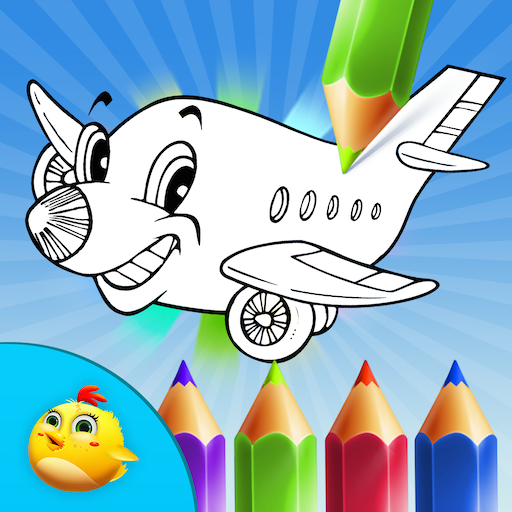 This game is a free coloring pad for kids where they can learn to draw with numerous options available to sketch and paint. Children can paint using any drawing tools with lots of different colors. 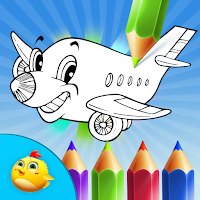 This game can motivate a child’s imagination and their artistic skills. Preschool learning garden is a perfect game for kids to start learning various activities along with having fun. This game will include fun and entertainment along with many educational, outdoor and indoor gardening activities for kids who are in kindergarten or going to attend a playschool. What are you waiting for you will have lots of fun with kids and they will learn different preschool activities with these games. Feel free to give your suggestion and feedback at wecare@gameiva.com or in comment section below. Your suggestion is valuable for us will make our games better.